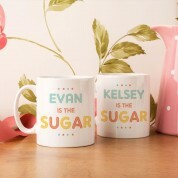 Our cute Mr & Mrs mug set will really look the part on a couples coffee table. It will brighten up any room with its colourful design, and it is sure to be a conversation starter! 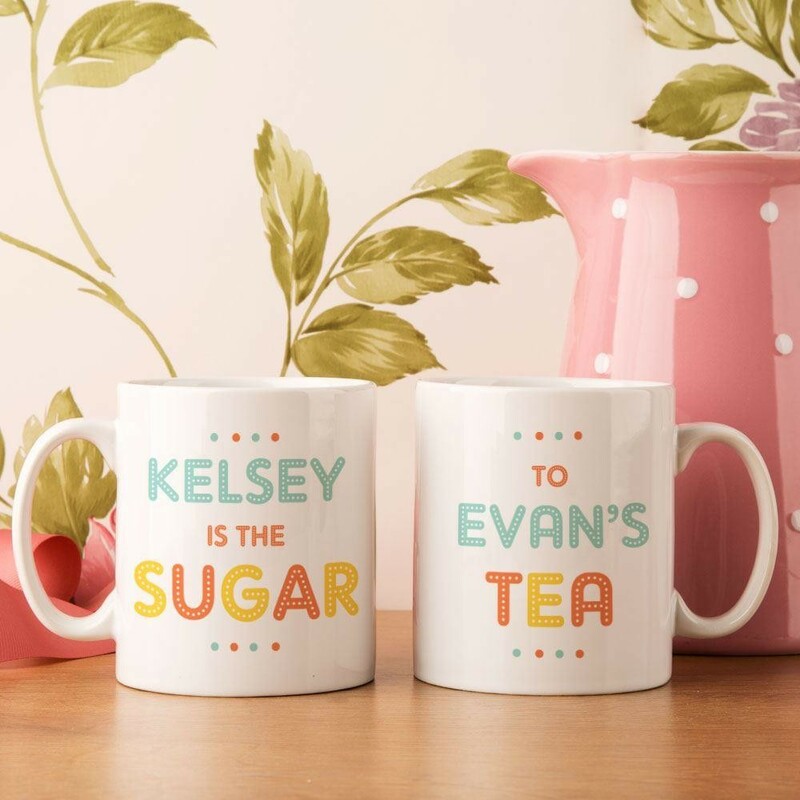 It makes a wonderful gift for a tea drinking couple on their wedding or anniversary. Alternatively it makes adorable keepsakes for Valentine's day or a house warming. 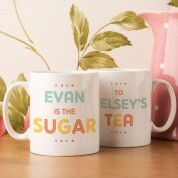 On both mugs it reads: "(name) is the sugar in (name)'s tea". 1950's inspired colours include duck egg blue and pops of orange. A jazzy styled font completes the design. The couples are sure to own nothing quite like them! 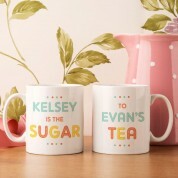 They will love to show them off when entertaining guests... just their cup of tea! It is recommended to hand wash your mugs.